The brand new casino slot game to join Quickspin’s ever-expanding roster is this charming and spellbinding title. Fairy Gate is set in an enchanting world of fairies and this magical game has a story to tell that will keep you entertained for hours. With a very healthy RTP of 96.66%, this slot game boasts the usual fantastic graphics and gameplay you would expect from Quickspin. Play online slot Fairy Gate for free to reveal the many superb features this game contains. When you feel ready to play for real, sign up for an exclusive welcome bonus only available here at QuickspinCasinos. If you are ready to leave the real world behind and venture into an enchanted land where ancient oaks and friendly fairies live then let’s take flight! This game has a unique, beguiling character that will instantly transport you into its otherworldly realm and relax your mind. As well as the incredible story and setting, this video slot has some fabulous gameplay features. The 5×7 reel setup and 20 paylines combine to make this an easy game to understand, meaning that you can focus on having fun and winning big! There are two bonus games included in the Fairy Wild and Super Re-Spin functions. Both can significantly boost your bankroll if you hit them when playing and makes this a particularly lucrative game to play. The main game within Fairy Gate is played with a reel setup of 5×7 with 20 paylines. As is usual for video slot games, the aim of the game is to match up the required symbols in the correct order to win. The normal symbols within the game are playing cards, alongside those cheeky fairies themselves. The Red Fairy is the one to watch out for, as it gives you 20x your stake for five across a payline. In addition to this, there are the two bonus games included in the Fairy Wild and Super Re-Spin features. These elements add to the excitement and your chances of winning, with these exclusive and bespoke gameplay features making Fairy Gate really stand out from the crowd. Read on to learn more about the extra features on offer in Fairy Gate. On any base game, there is the chance that you may trigger the superb Fairy Wild Re-Spin feature. When engaged, you will see wild symbols added to the play screen and two extra reels being activated. These extra reels will stay in place until the feature game comes to an end. Containing Fairy Orb symbols, if one or more symbols land during a spin then two to five extra wilds are added to the first five reels for each symbol. You’ll also be treated to one re-spin, with the feature continuing until no Fairy Orb symbol lands after a spin. If the above free spin feature wasn’t enough, Quickspin has also packed a Super Re-Spin in to this video slot! If you get three bonus scatter symbols on the same spin, ten free spins will be heading your way. 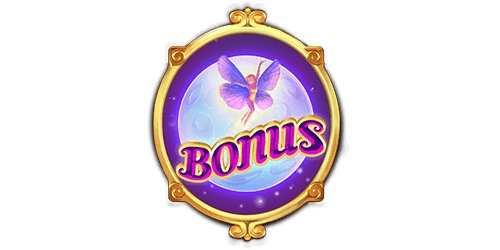 The extra reels are active until the feature finishes and you may even find that Fairy Orb symbols land on every spin. 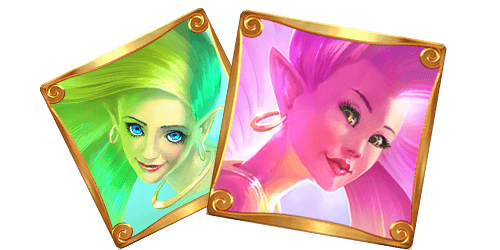 During the free spins, Fairy Orb symbols will result in additional wilds being awarded but no re-spin. 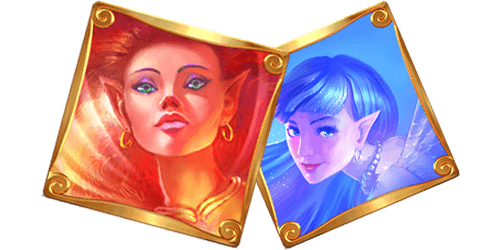 The minimum betting amount on Fairy Gate is €0.20, while the maximum you can wager is €100 per spin. The maximum default win on a single bet line within the main game is 532x your stake. The real beauty of this game, as with most Quickspin slots, is that it is available on your mobile phone or tablet. This means you can play it wherever and whenever you want! Are you ready to delve into the marvellous and miraculous world of Fairy Gate? Take full advantage of one of our select welcome packages to get started. Some of our exclusive online casino clients have special ongoing deals for mobile casino players.